Sheet Metal Workers’ Local 36 has selected Casey Communications to capture the rich heritage of the local union in a first-of-its-kind exhibit at the new Local 36 LEED Platinum headquarters and training center in St. Louis. The organization recognized that the opening of its new facility presented the perfect timing to develop an exhibit that expresses its living legacy. Casey Communications has been charged with discovering and integrating historical milestones and artifacts of Local 36 into an interactive, experiential history exhibit. The union’s local history dates back to the 1800s when sheet metal workers were known as tinners and cornice workers. The project is designed to heighten awareness and appreciation of Local 36 history to members, contractors, architects, elected leaders and the general public. It also is expected to educate and ignite the imagination, enhance appreciation for the skills and knowledge of Local 36 members, build greater pride in the training, commitment and craftsmanship of sheet metal workers and educate local union members and the public about labor history. Under the direction of the union executive committee, led by Local 36 President and Business Manager David C. Zimmermann, Casey Communications is tapping the resources of Local 36 retirees and multigenerational families for stories and artifacts and collaborating with Signature Design to design the exhibit and displays, set to open later this year. Have you considered ways to showcase the history of your company or organization? Contact Marie Casey to explore how you can optimize your space to share your history and heritage. The Sheet Metal Workers’ Local 36 new, LEED Platinum facility will feature a state-of-the-art training school, a 500-seat auditorium, union offices and an exhibit chronicling the union’s rich history. The Internet is cluttered, so how can your message break through? Online “tagging” is one tool that makes it easier for Web surfers to find information. “Tags” are keywords and phrases that define the topic of online content. They are added to images, videos, articles and blog posts. Only a small handful of well-defined tags are necessary. Tags make content easier to find because they index online information and are highly searchable. When considering how to tag each item, think about the exact words and phrases your online audience will use to search for that information. Proper tagging can boost content’s “searchability,” lifting your message to rise through the clutter. According to the Pew Research Center’s 2010 Internet and American Life Project, seven in 10 adult Internet users (69 percent) have used the Internet to watch or download a video. As 2011 unfolds, video will continue to emerge as a significant form of effective and meaningful communication for businesses, organizations and individuals. 1. Keep it brief. Target one to two minutes in length. 2. Share, don’t sell. Offering good information promotes expertise. 3. Include a call to action. Ask for feedback; let viewers know how to be in touch. 4. Raise awareness and interest. Testimonials, how-to elements and virtual tours are great places to start. 5. Brand. Catchy titles, compelling content, Web addresses and logos – as well as posting to multiple sites – can get videos (and your business) noticed. In a 96-second video created for St. Joseph’s Academy by Martha Casey-Philipp of Casey Communications, the school quickly captured and told the story and impact of a special donation. 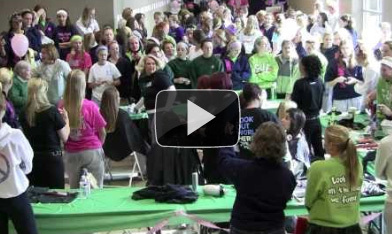 More than 90 students and staff participated in a Locks of Love ponytail-chopping event to produce wigs for cancer patients. Casey Communications can help reach your target audience through professionally produced video. Email Martha Casey-Philipp for more information, or check out other Featured Client Videos. 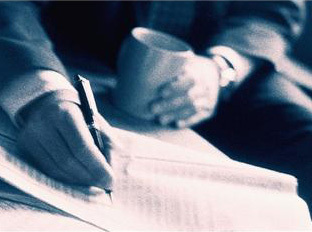 The mission of a company often compels it to initiate discussions of important issues facing the community it serves. It may be a call to action, a thoughtful perspective that brings clarity to an issue or simply a progress report. It sells an idea, not a service. It is a viewpoint with civic value, not hype. “The airport as emissary.” The following year, the firm detailed emerging trends in office space in another Business Journal commentary: “Recession redesigns work spaces.” In each case, HOK offered expertise drawn from its projects across the country that had valuable applications for St. Louis. Community engagement must resonate as a relevant issue with a solution. All civic-minded companies have a clarion call in their mission. What’s yours and how may we help you express it?